Because the Walking Liberty Half Dollar coin proved to be so popular and appreciated, its image has been allowed to live on long after the Mint abandoned the coin design. The U.S. Mint chose to stop production of these beloved half dollar coins in 1947. The good news is that this image is still struck on the Walking Liberty Silver Bars. The design shows Lady Liberty striding to the sunrise with her arm outstretched in a welcoming and hopeful gesture. The Highland Mint produces these fine bullion bars. The Walking Liberty design originally came out of a contest. After Robert W. Woolley gained the appointment as the new director of the U.S. Mint in 1915, the Commission of Fine Arts held a competition for any American designer who wished to submit potential designs for new coinage. The famed Walking Liberty came from contest winner Adolph A. Weinman. This image gained immediate popularity and success, lasting in circulation on half dollars from 1916 to 1947. The design proved to be so intricate that dies continuously struggled with striking perfect images consistently. Though the half dollar design was replaced by the easier to strike Franklin one in 1948, the popularity of the Walking Liberty image gave the mint reason to revive it on the American Silver Eagles starting in 1986. Cornelius Vermeule the art historian has referred to the Walking Liberty design as among the most beautiful coins to ever circulate in America. Thanks to the Highland Mint in Melbourne, Florida, the image lives on still in silver bars. The privately held and operated facility began producing bars and rounds in the 1980s. Today it is a cutting edged 40,000 square foot facility which strikes bars, rounds, and commemorative pieces for official licensed products for the NFL, NCAA, NHL, MLB, and NBA. They have struck these Walking Liberty Silver Bars in one, five, and ten ounce sizes. All three sizes are liquid and popular choices for investors and collectors. The back of these bars is made with utility in mind. It features a criss cross pattern which is raised. This delivers stability and traction for the bars themselves. Not only does it make them easy to handle, it makes them practical for stacking as owners place them into storage. Whatever their size, weight, or thickness, all Walking Liberty Silver Bars boast a purity of .999 (99.9% silver content). With silver bars there are some differences from the bullion coin issues. The bars do not feature any legal tender property. They have no face value associated with them and can not be spent. Nevertheless, such silver bars offer you unique advantages which silver coins can not when you decide to acquire physical silver. A major difference is that these kinds of bullion bars are produced in vastly lower quantities than are the bullion coins as they are not made to be collectible. This ensures that the market prices for the silver bars such as the Walking Liberty Silver Bars stay nearer the spot price of silver. It helps to understand why silver bars are the most cost effective way to build up silver holdings. Market prices determine the value of any assets within retirement or investment portfolios. With silver and precious metals, these prices fluctuate on a daily basis throughout the weekdays. This means that the prices of Walking Liberty Silver Bars also go up and down on trading days. You can watch this live action precious metals pricing by clicking over to our home page. The Internal Revenue Service approves having precious metals in bullion form such as Walking Liberty Silver Bars in certain types of IRA accounts. They require that these bars meet minimum purity standards before they can be added to the account. These particular IRAs are known as precious metals IRAs. They are a form of self directed IRA accounts. Walking Liberty Silver Bars are allowed to be bought with funds from these accounts. These silver bars are a popular choice with retirement investors because the spot price of silver proves to be so much lower than gold prices. This is why silver remains a more price compelling type of insurance for your investments. Walking Liberty Silver Bars meet the IRS' minimum purity standards of .999 fine silver as laid out in the IRS 408(b) section of code. First purchases in these accounts have to start at a minimum of $5,000 in qualifying bullion. Subsequent purchases can be added with only $1,000 minimums. The IRS has strict rules on storage of these metals and mandates that they be held by approved depositories. These third party vaults take responsibility for your bullion's safety. 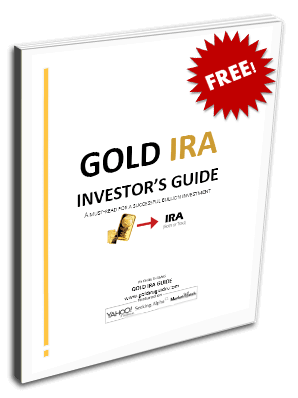 You can roll over an existing IRA to a self directed one which can hold precious metals if you wish. Walking Liberty Silver Bars are liquid and easy to buy and sell, especially the one and five ounce versions. Coin, precious metals, and jewelry dealers around the world trade in them. These bars do not feature individual serial numbers so they offer you complete anonymity of ownership. Your IRA administrator is able to easily acquire them from a reputable bullion dealer after you give the purchase order.